If those LED watches are still giving you trouble, perhaps you'd be better off with a watch like this. 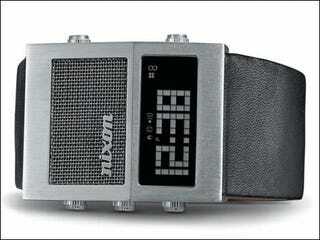 The Nixon Dictator lets you store up to 8 different voice recordings (3.5 minutes total) inside its tiny retro casing. We wish it'd give you a bit more recording time, but for $120 bucks, it's not bad at all. It's available in black or brown.